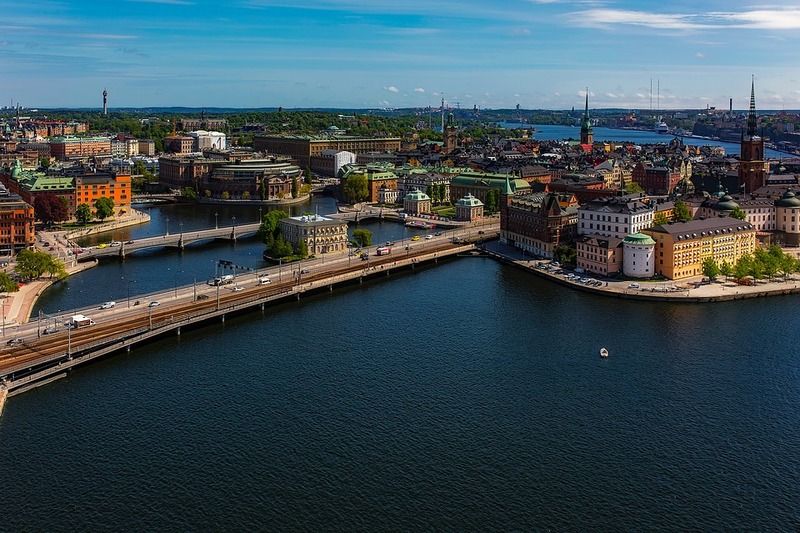 The co-working scene in Stockholm is booming right now, and this will only continue to get bigger and better. There is now a variety of options with regards to sharing workspaces whether you are a freelancer, entrepreneur, or if you are looking for a quiet spot to play a round of games on NetBet Slots. They are all different, so your preference will ultimately decide which one is perfect for you. Whether you are looking for a simple cafe with an internet connection or an elegant office space with extra perks such as balconies, I have put together some of the options you should consider. This is one of the most modern co-working spaces that you will find in the entire city. Based one minute away from the T-Centralen, it is ideal for everyone to get to. There are also other spaces located around the city, but this is my personal preference. There are also options for lockable office and conference rooms if that is what you are looking for. The space is elegant and luxurious, with 24-hour access for members. As you can imagine, there is a wide range of benefits for using this co-working space, after all, it is priced within the higher end of options. Their main aim is to help your business succeed, and this is achieved by their high-quality service, with full access to the concierge service, cafe, deli, restaurant, wellness facilities and wired and wireless internet all included within the membership and office packages. Membership prices start at 4,995 kr per month, while private offices start at 11,950 kr per month. There are 15 co-working seats, two meeting rooms and of course, a cafe. The prices are very much dependant on how long you are planning to use the space. Prices begin from one hour, which will cost you 50 kr. A full day at the cafe will cost you 300 kr, and a one-month membership costs 2,900 kr. This specific co-working space is one of the few in Stockholm that has a requirement. 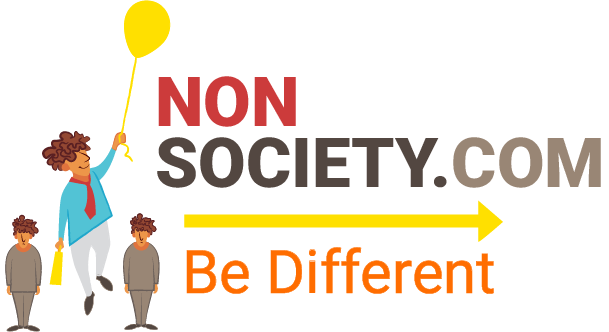 You must be aiming to improve society as a small business or entrepreneur. If you meet these guidelines, then you can work in their workspaces, with conference rooms also available to book at a cost. Free coffee is always on hand to help you with your work. Another unique perk of Openlab is their training courses that are aimed at boosting your innovation skills. Membership prices begin from 2,000 kr per month; this will also guarantee you 24-hour access. Fear not, if you aren’t sure whether you want to become a member you can work in the cafe for the afternoon for free as a trial. Now that summer is almost over and the kids will be heading back to school soon, it’s time to start thinking in advance and making plans for your autumn or winter getaway. There are a whole host of places you can check out if you’re on the hunt for a great holiday for couples or families alike. Here are some of the top suggestions for great winter getaways that will create memories that will last a lifetime. 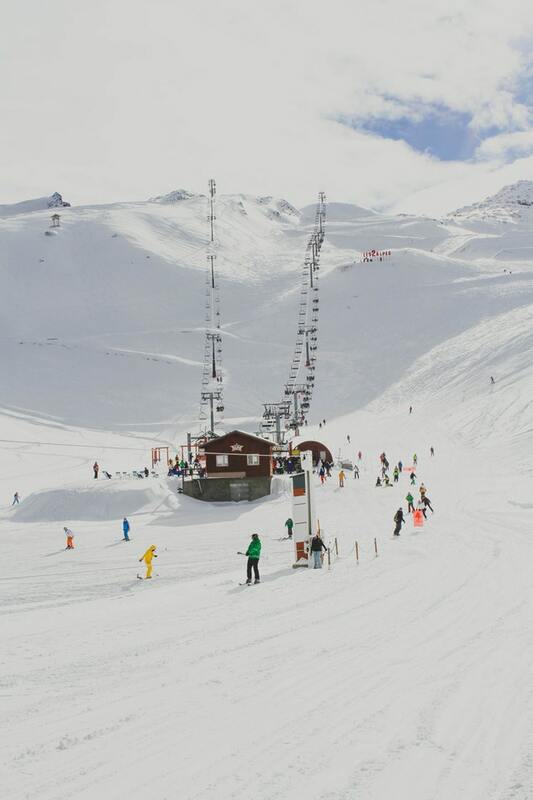 It’s no secret that one of the top getaway ideas for winter is to head out to some of the lush mountain ranges in Europe for a family ski holiday. With the Alps playing host to some of the worlds best runs, it’s easy to see why this continues to be a popular choice for many. Stretching from France through Liechtenstein, into Germany, Austria, Italy, Slovenia and Monaco, the Alps are some of the world’s most well known mountains – and beautiful too. If you want something a bit off the worn trail, why not consider Slovakia’s Tatras mountains and the top ski destination, Jasna for a unique experience your friends will envy. Winter is the best time to catch this awesome night time light display, and there’s no better place than to hit some of the more northerly destinations such as Norway, Iceland, Finland or Sweden to see the best that the Aurora can bring. With most countries offering tours specific to seeing the Northern Lights, it’s becoming a hugely popular option for those who want to experience this astronomical dance among the stars. If cold and snow aren’t your thing then you might want to consider heading out to a warmer location such as the sunny state of Florida. Known as the Sunshine State, and for good reason, Florida boasts a great climate year round that can even allow the occasional dip in the ocean if you’re brave enough. With so many things to see and do for both couples and families alike, Florida is a hugely popular option for those who want to experience a bit of the American way. From Disney World to Universal Studios, Discovery Cove and more, you can get your Florida theme park tickets in advance to save yourself time and money as well as the ability to skip those long queues to buy tickets at the gate. Off the back of Florida, if you’re looking for something a bit warmer, why not consider a beach holiday. Many beach destinations allow you to sunbathe and swim in turquoise waters nearly year round and as a result make for great getaways from the winter blues. Places such as the Caribbean, Maldives, Mauritius, Zanzibar and Cape Verde are all great places where the temperatures will be summer like and the seas refreshing. Don’t forget to pack the sunscreen alongside your flip flops! So if you’re looking for a great winter getaway, look no further than one of these awesome suggestions. There are so many things to do in the winter that can incorporate the weather and season such as skiing, but if you aren’t adverse to a bit of travel you can always enjoy the sun, sea and sand of warmer climes. Enjoy! When visitors first arrive on the island of Samos, they can be fooled into believing that the laid back atmosphere means that partying is not on the agenda. The reality is that the island has some great nightlife options to suit different requirements and budgets. 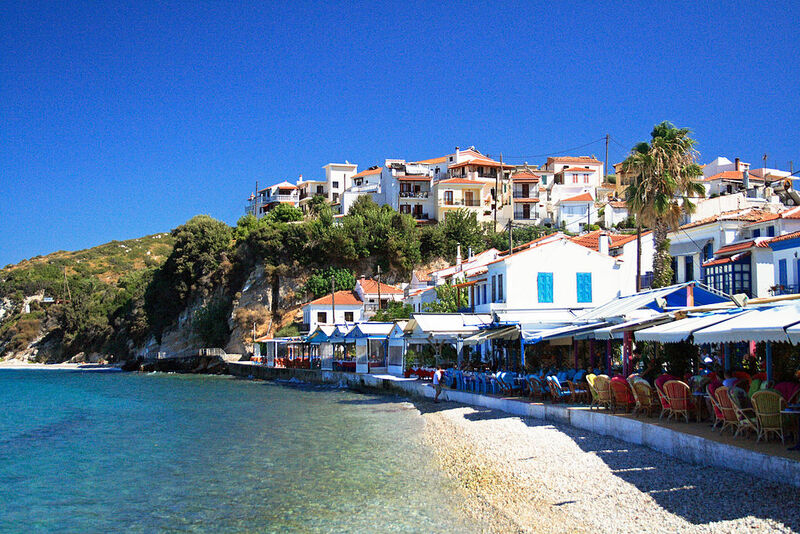 Partying on Samos is definitely possible. Gialos is a popular place to eat in Marathokambos Village. It is located right beside the harbour. This is a family run business, and they offer a nice selection of local cuisine at affordable prices. Nireas Restaurant offers home cooked food and a welcoming ambience. This eatery is located in Kokkari Village. The bar at Ino Village Hotel in Kalami has a happy hour in the evenings. Mezza Volta Cocktail Bar is right beside the sea in Samos Town, and the drinks here are reasonably priced. Nefeli at Pythagorion Harbour offers live music every night of the week. Pizza lovers might want to check out Piccolo Porto in Kokkari. They bake in an olive wood burning stove and offer a variety of toppings. Poseidon is one of the best options for seafood. This restaurant can also be found in Kokkari. The Hook Bar in Kokkari is the liveliest drinking establishment on Samos. Some of the best cocktails can be bought at Tabula Rasa Cafe near the harbour in Samos Town. Alfa Cafe Bar is a place to relax during the day, but once the sun goes down things begin to liven up here. Orfeas Bar has live music and a DJ in the evenings. The Corner Bar in Pythagorion is one of the most fashionable places to be seen on the island. It is popular with the yachting crowd and visiting celebrities. Efzin Cafe and Bar in Pythagorio offers high class food and cocktails. It is situated in a suitably charming location right beside the harbour. Madrid is one of the world’s most global cities and with it draws business people and students from all over the world. 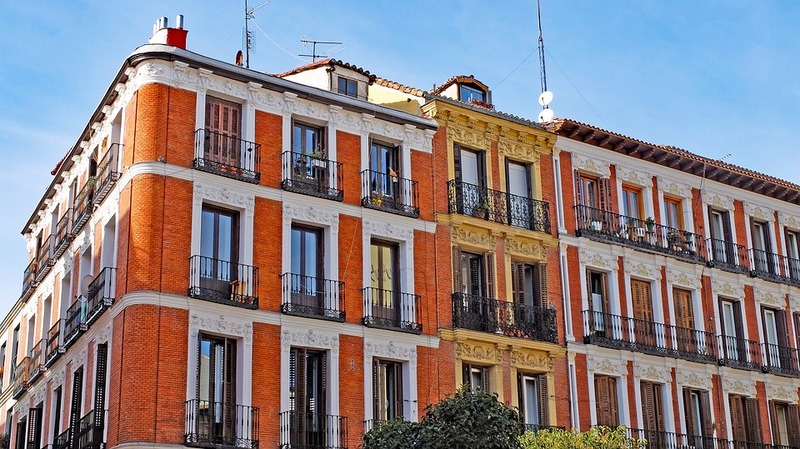 Many people need to stay in Madrid for short-term periods and one of the most comfortable ways of living in the city is to rent an apartment for a month in Madrid. A short-term apartment will give you a temporary base in one of the world’s most bustling cities. There are a huge range of apartments available and you can often find one which will be right next to where you want to be, whether that is in the centre or in the suburbs of the city. Value for money – staying in a hotel of hostel can soon become very expensive and uncomfortable. The cost of a high quality apartment provides much better value than a hotel room for temporary accommodation. If you are travelling for business and are looking to keep control of your expenses, using an apartment is one of the best solutions and an easy sell to your finance department. Room service – Many people are put off renting an apartment because they believe they will need to clean it. Almost all apartments offer servicing options meaning you can enjoy your time in Madrid without having to think about cleaning. These service options can be daily or weekly, or even none at all if you want to save some money by doing it yourself. Heightened luxury – having an apartment offers you a level of luxury which you won’t often find in hotels. Increased privacy is one of the main factors which lead business people to choosing short-term apartments. Apartments offer a level of luxury which you won’t find in hotels, apartments can offer this because they don’t have the same overheads as hotels. Expect, thick Egyptian cotton sheets, amazingly comfortable mattresses and tasteful decoration throughout the apartment. Being in an apartment is almost like being in a suite but with better levels of privacy. Having an apartment offers excellent value for money and luxurious living. While hotels can become difficult to live in after a time, having an apartment offers you a stable abode in your temporary home. Living in an apartment offers unparallelled privacy and luxury, while providing fantastic value for money. If you are staying in Madrid only for a few months using a short-term letting is the best option and will save you money.